Find luxury fractional property in Wine Country. The Napa Valley in California is known for its award-winning wines. Napa offers everyone a chance to become part of the world of wine. Many travelers make a pilgrimage there to experience the wine tours and the full experience of that area. 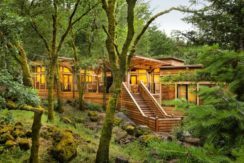 Fractional ownership of a vacation residence second home in the Napa Valley is an innovative investment with unique benefits. Real estate runs about $370 per square foot in Napa, and the median closing price is $620,000. 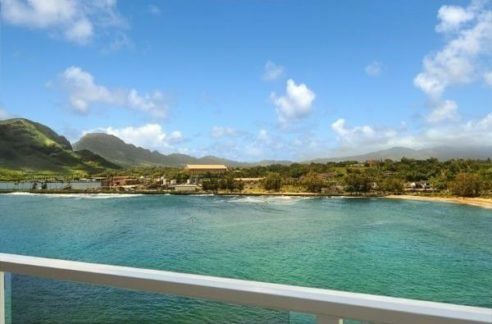 Prices over half a million dollars rule out vacation ownership for many people. Fractional ownership in Napa Valley is a great option. A plan sponsor will locate or develop luxury and prime residences in destination or resort areas. Some are multi-unit buildings, while others are resort or single-family home properties. Most plans have a limited number of owners, and shares represent a variety of ownership percentages. Regardless of the size of the share, the up-front cost for each owner is much smaller than a sole traditional ownership. The owners pay for maintenance and taxes on a proportional basis, as well as make appropriate capital contributions for needed improvements. Some plans vary the time available each year based on ownership percentage. The plan sponsor or coordinator allocates time available to the owners based on the owner’s request, the plan’s conflict-resolution system, and, in some cases, the owner’s superiority. Time allocation will be spelled out in the plan, but in most plans owners can use more than their allocation on a space-available basis. Some plans guarantee you will stay in the same space, while others allocate equivalent space to you. For example, if you were an owner in a 17-unit plan, you might find yourself in Unit 3 this year, and Unit 17 next year. The key advantage of fractional ownership is the lower costs and expenses. You obtain access to a high-end property for a fraction of the price of full ownership and share expenses with others, including both the cost of repairs and needed improvements. Some plan portfolios turn over after a set term of years—usually 7 or 10-year periods. When the residences sell, the owners receive both their initial investment as well as any gains to the value of the investment. Some plans rent units when not occupied by owners, and the proceeds of these rentals help reduce the annual expenses incurred by the owners. A variety of companies offer tours of the Napa Valley, making sure t you can safely get to the wineries and back. One of the most well-known is the Wine Train. Each of its three dining rooms offers food sustainably and humanely sourced, and frequently includes visits with vintners and tours of wineries. One of the unique offerings is the murder mystery tour. The Wine Trolley will take you to three or four wineries, and offers a picnic lunch during the trip. The trip is casual, allowing people to become friends and learn about wine together. Enjoy views of the Napa Valley from the air on a hot-air balloon ride from Napa Valley Aloft. Flights of around one hour take you wherever the wind blows. While these flights do not stop at wineries to allow passengers to tour, one of their launch sites is at the Pope Valley winery. Napa River History Tour and Kayak Rental offer 90-120 minute tours down the Napa River. They are open year-round except for Thanksgiving Day. They also rent kayaks as available, hourly or for the entire day. The Uptown Theatre in Napa offers top-line entertainment throughout the year. Performers in 2017 included The Beach Boys, Los Lobos, Rufus Wainwright, Randy Newman, Boz Scaggs, and Todd Rundgren.